The number of vehicle recalls has increased steadily across Canada in recent years, as the leading manufacturers try to resolve challenges with integrating cutting-edge technology with fuel-efficient systems. For example, Toyota recently recalled 6.4million vehicles worldwide to address a variety of issues, including faulty air bag cabling. The increased number of recalled vehicles has many Canadians worries that their current vehicle has a part that might have been recalled by the manufacturer. And so in this blog, we’ll review how to find out if your vehicle has been the subject of a part recall. Transport Canada maintains a website with comprehensive information on the latest vehicle and parts recalls. By visiting the Transport Canada website at www.tc.gc.ca, vehicle owners will be able to see the latest information directly from those in the industry. This will help provide basic information on the makes and models that have been subject to a recall recently. Vehicle owners who suspect that their vehicle has a defect can also choose to report the defect directly to Transport Canada themselves through the organization’s defect complaint system. Vehicle owners can either fill out Transport Canada’s online form or call them directly to speak with a specialist about their vehicle’s issue. This complaint will then be analyzed by Transport Canada directly to see if the issue is wide-spread among other drivers. For those with specific concerns about the performance of their vehicle and its parts, it’s important to contact the manufacturer directly about any recalls that might be in-place. Manufacturer representatives often have the latest information on the various vehicles subject to a recall. They might also be able to provide further information on the nature of the mechanical issue leading to the recall. 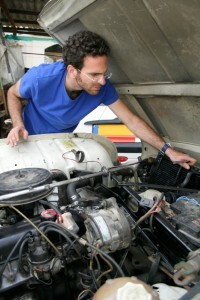 It’s imperative for drivers to be proactive if they suspect a mechanical problem with their vehicle. With the increasing complexity of modern cars, and the number of vehicle recalls occurring in recent times, drivers must be aware of their options. To learn more on the recall process, contact a Woodbeck Auto Parts expert directly today.